Do you know what type of a truck you want to buy? When it comes to used trucks for sale in Bellevue, Carson Cars is going to have the best possible selection for you to choose from. Whether you want to have a pick up that you can use for towing for work or you simply have a need for a used truck for recreational purposes, you will find a great truck on our lot. Carson Cars is a used vehicle dealership that is well known in the Bellevue area for customer service, pricing and selection. Even if you are not quite sure that you have the best credit, we offer a wide variety of financing options and programs that will help you to get the loan that you need. If for some reason we are unable to get you the financing that you need to buy, we will pay you $500 for your troubles. No questions asked. There are a lot of truck buyers that will be looking for a combination of performance as well as features on the interior. Buying used means that you are able to get a high quality truck at a much smaller price than a brand new one, without having to forego all of the features that you are looking for. We always have an incredible selection of some smart trucks with advanced safety features and the best technology on the market today. 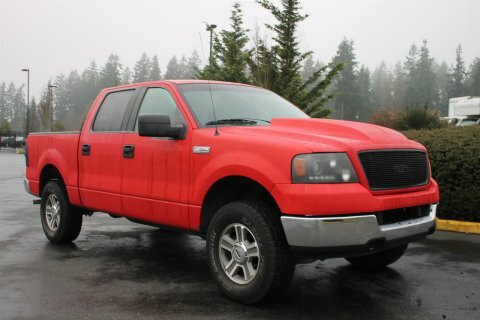 Carson Cars is your answer when you are looking for tough, dependable used trucks for sale in Bellevue. Call (855)583-9356 for more information on selection. With our expertise and experience in the field of selling used vehicles, we have the ability to get you a truck that is exactly what you are looking for.